Russia's decision to intervene, and to escalate, in Syria is the product of a wide range of considerations. Some are domestic, but by far the largest set of factors has to do with securing Russian strategic interests in the Middle East and offering an alternative vision of global order growing out of a perceived decline of American power. By itself, Russia's Syrian intervention is not likely to end well. Yet it creates a dilemma for the West, which risks sacrificing its ability to set the agenda in Syria and other crisis zones. Forced to respond to Russian initiatives in the Middle East, Ukraine and elsewhere, the West is left searching for half-hearted compromises on Russian terms. Given their greater financial and (at least in the case of the U.S.) military power, the Western powers should be the ones driving the global agenda but doing so requires a greater acceptance of risk than leaders in either Washington or the European capitals have shown so far. 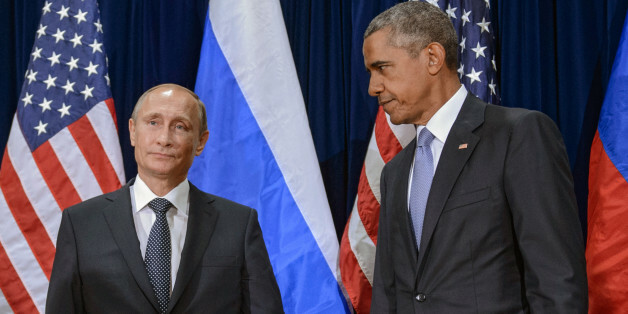 The simplest answer to the question of why Russia got involved in Syria is that it could. U.S. President Barack Obama and other Western leaders have repeatedly said that Syrian leader Bashar al-Assad, a long-time Russian ally, "must go." Yet neither Obama nor the European leaders have shown a willingness to take the steps necessary to force Assad from power. Efforts to train and equip a "moderate" Sunni force to oppose both Assad and the jihadists of the Islamic State, Jabhat al-Nusra, and other hardline groups have proven a monumental embarrassment, while the Western powers have been unwilling to commit their own forces beyond a token number of special forces working with Kurdish fighters whose goal is less to oust Assad than to carve out an independent Kurdistan. Moscow calculated, correctly it appears, that under the circumstances, the U.S. and its allies were not going to commit real forces to achieve their stated objectives in Syria. Its deployment of tanks, air defense batteries and aircraft to both its pre-existing naval base in Tartus and a new facility in Assad's hometown of Latakia reflects a Russian calculation that there was little the West could, or would, do about it. Forced to respond to Russian initiatives in the Middle East, Ukraine and elsewhere, the West is left searching for half-hearted compromises on Russian terms. This permissive operational environment gives Moscow an opportunity to pursue several objectives at once. Its first and foremost objective is securing Syria as a strategic partner now and in the future. The Assad regime has been a Soviet and then Russian client since Hafez al-Assad, Bashar's father, came to power in a 1970 military coup. And the prospect of Assad's fall jeopardized that relationship, just as Moscow's influence was damaged by the toppling of Saddam Hussein in Iraq and Muammar al-Qaddafi in Libya. Assad per se is not and never has been the issue for Moscow. Russian officials have long indicated openness to an alternative political arrangement in Damascus. Members of the Western-backed Syrian National Council traveled to Moscow on multiple occasions -- though Russian officials reportedly came away from those meetings convinced that the Council was useless. And the Kremlin has offered to mediate among the various political forces opposing the Islamic State, though Moscow demanded that the Assad government also have a place at the table. Apart from maintaining its strategic foothold in Damascus, intervention in the Syrian conflict forces the other parties to take Moscow's interests seriously in negotiating any potential transition. Saudi Arabia and the other Gulf states (that have been backing the various Sunni groups seeking Assad's ouster) as well Moscow's putative partner Iran are accustomed to seeing Russia as a negligible quantity in the Middle East despite the Kremlin's occasional bluster. With a long-term military presence at Tartus and Latakia, coupled with a demonstrated willingness to use force to achieve its objectives, Russia has made itself a factor that the other players in the region cannot ignore. Even Iran, which has also been working with Russia to support Assad (including through an intelligence-sharing agreement recently signed by the governments of Iran, Iraq, Syria and Russia), has reportedly been favoring its own proxies in Syria at the expense of the Assad regime itself. Intervention directly in support of Assad thus strengthens Russia's hand as a powerbroker inside Syria. It also bolsters Russia's hand vis-à-vis the West. It helps put the nail in the coffin of Washington's strategy to create and train a moderate Sunni opposition to Assad and creates new facts on the ground that any new Western approach will have to take into consideration. By acting decisively, Russia is setting the agenda and forcing others, most notably the West, to react. Even if Russia winds up overreaching, as appears increasingly likely with its decision to send "volunteers" to participate in ground combat in Syria, this ability to shape facts on the ground gives Russia a kind of first mover advantage. The conflict in Ukraine offers a good example of this dynamic. While Moscow's efforts to bite off a large piece of southeastern Ukraine, an area Putin described using the Tsarist-era appellation Novorossiya, proved beyond the Kremlin's capacity to achieve, the very act of intervening left the Ukrainian government and the West searching for a solution to a crisis of Moscow's making. Once Russia had seized territory in the Donbas, a return to the status quo ante bellum was out of the question unless the Western powers were willing to risk a wider war, for instance by flowing large amounts of weapons into Ukraine and confronting Moscow with the prospect of a grinding guerilla conflict like the one it faced in Afghanistan in the 1980s. Moscow calculated, correctly it appears, that the U.S. and its allies were not going to commit real forces to achieve their stated objectives in Syria. So too in Syria. The Russians have secured their foothold on the Mediterranean and are in the process of wiping out the Western-backed rebel groups fighting Assad. A return to the previous state of affairs is not in the cards. Russia may well find itself bogged down in a bloody, ultimately fruitless conflict, especially if it seeks to expand combat operations beyond Assad's Alawite heartland to fight against Sunni forces in predominantly Sunni areas. That outcome could prove disastrous for Russia itself, especially given the country's own difficulties with radical Islamism (leading Saudi clerics, for instance, have already called for a jihad against Russia). Yet it would hardly be in the West's interests either -- schadenfreude is not a strategy. Unless the U.S. and its allies can adopt realistic aims and be willing to commit the financial and military means commensurate to those aims -- whether the end of Assad or the territorial integrity of Ukraine, they will continue to find themselves on the defensive, forever reacting to the manic impulses of Putin while the people of Syria, Ukraine and elsewhere are left to pay the human cost. 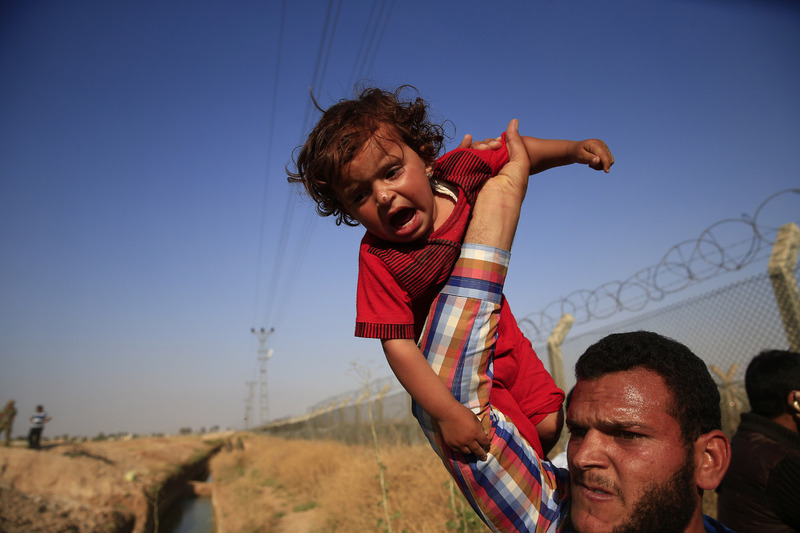 Thousands of Syrians fleeing heavy fighting between Islamic State militants and Kurdish forces are crossing into Turkey near the border at Akcakale in June 2015.